As more and more skyscrapers dotting the urban skies propagating technological and engineering marvels, access to these towers to perform regular maintenance and inspections have become more and more complex, costly, risky and challenging. However, over the past few years, accessing to deep, high elevated and complex structures has become simple and safe through rope access which has been increasingly adopted even in the most complicated projects. 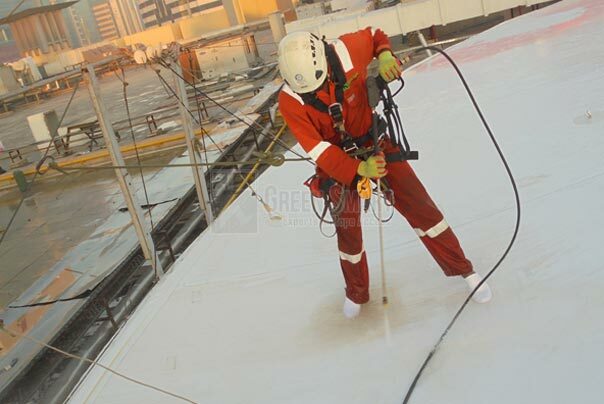 Rope access method has evolved from steeplejack technique and has adopted the skills used by rock climbers or abseil personnel, making it the most ideal to perform inspection and maintenance on towers, high rise buildings, wind turbines, bridges and other commercial and residential towers. What advantages do we deliver over traditional access? As structures are becoming more complex, conventional access methods such as scaffolding or mechanical platforms have become obsolete and untenable. A lot of time and money are wasted in terms of assembling structures, moving objects and tools and engaging more technicians. Traditional methods can restrict plant operations and cause disturbance to occupants and people nearby. 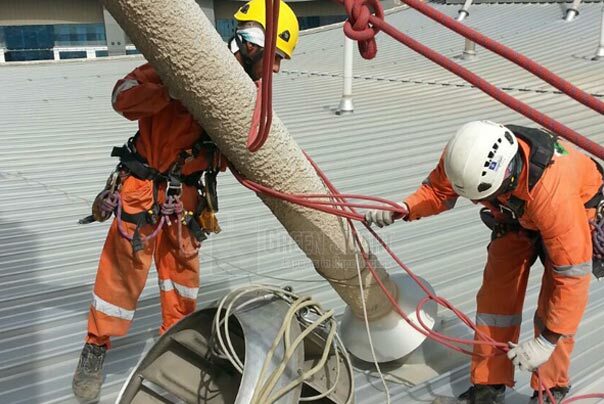 On safety side, rope access is safer compared to traditional method. 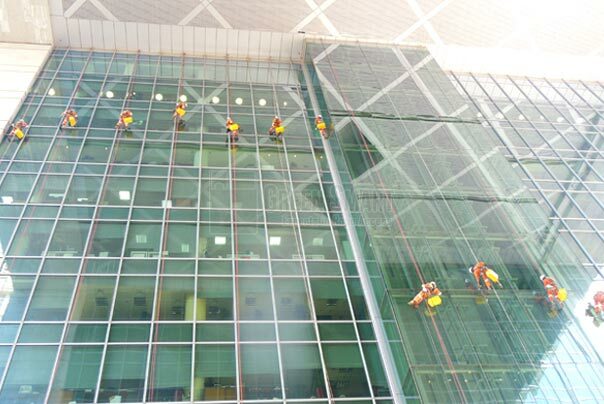 There is no huge cost involved in rope access as the technique uses very less machinery which can be mounted on the roof tops without disturbing the ground level activities. 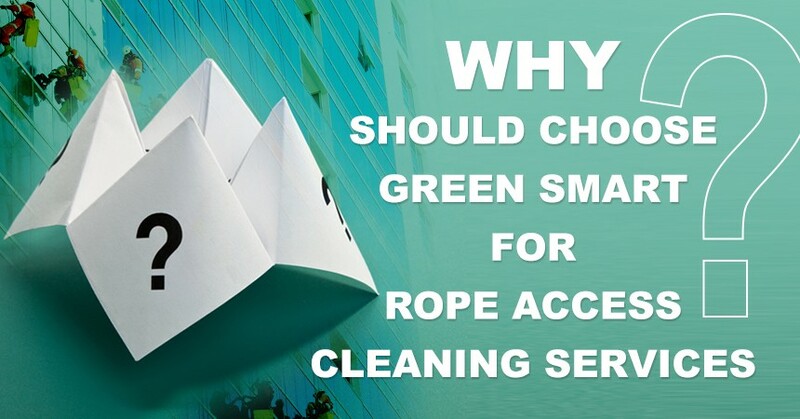 Compared to traditional methods, rope access is faster, environment friendly, cheaper and causes less hindrance to building users and visitors. Why choose our Rope Access specialist teams? We have a highly competent and certified team which can deliver exceptional services in terms of quality on any kind of structures in Dubai. Our consultants are experienced to provide you with the best solution. When you engage them, you can be rest assured of contracting the right combination of people who have excellent knowledge and relevant experience to complete your task efficiently. Consultants working with you are chosen as per the specific needs of your project and have all necessary equipment and back-up support to complete the task quickly, effectively and safely with best professional ethics. Over the years, we have made our marks in various industries including hotels and facility management, oil and gas, construction and renewable industries. 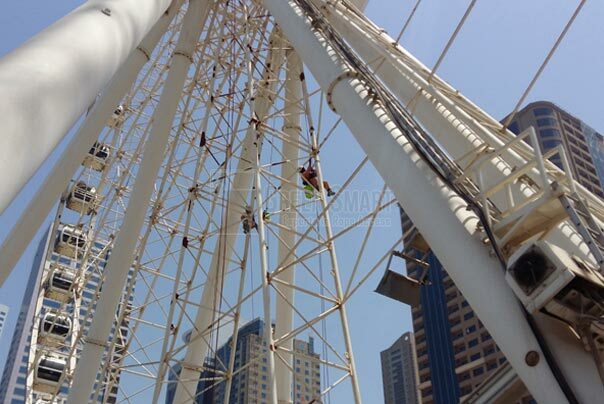 What is the range of our Rope Access services in Dubai? 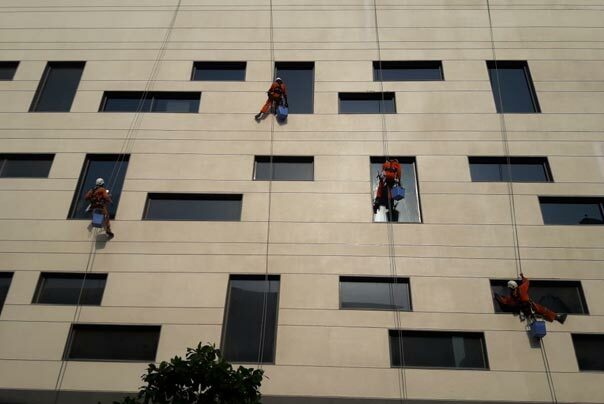 We have positioned ourselves with impeccable knowledge and service skills that can be reflected in all our services including pressure washing, façade cleaning, window dusting, glass cleaning, steel and clad fixing, painting, facade fixing ,silicon mounting, glass panel fixing, complex construction and repair works at heights, maintenance and inspections, wind turbine installation and oil rig platforms. Quality is not compromised at any cost despite complexity in the nature of the project as we have competent people to handle difficult projects. When we take up a project, personal safety takes the priority along with protection of both your property and surrounding environment. We ensure that when we work on your project, you can continue to run your business with no production loss or revenue.